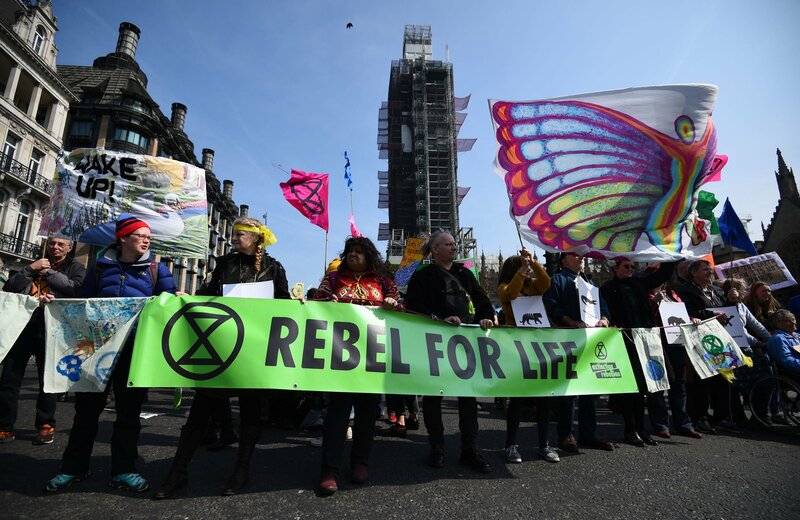 Thousands of environmental activists gathered on Monday (15.04.2019) in three enclaves in central London, blocking roads to demand from the government measures to curb climate change. 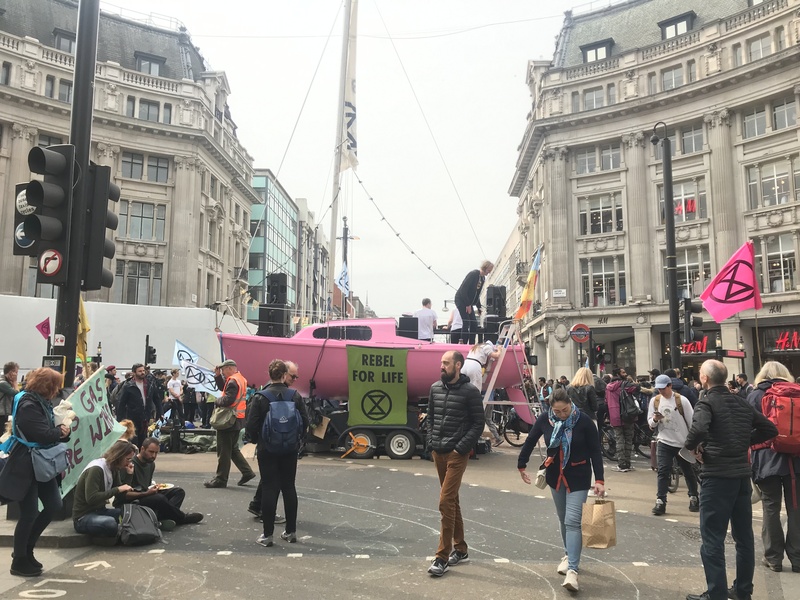 Marble Arch, Oxford Circus and the Waterloo Bridge have been the places chosen by the protesters of the Extinction Rebellion group, which promotes measures against the "unprecedented global emergency" posed by climate change. The group, which wants to prolong the concentration for up to two weeks, asks the Executive to declare a climate and ecological emergency, to reduce CO2 emissions to zero by 2025 and to create a citizens' assembly to deal with decisions that affect to global warming. More than 700 climate change activists blocking roads at some of London’s most famous landmarks have been arrested over the last six days, police said on Saturday, up from a total given on Friday of more than 682.